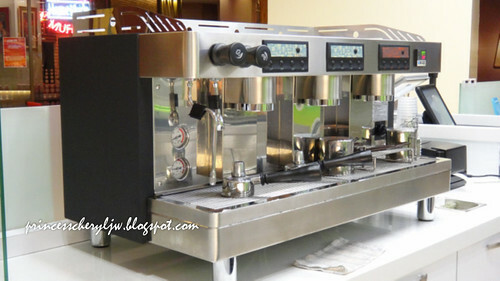 Now you get to have more choices on beverages when you shop in Queensbay Mall. 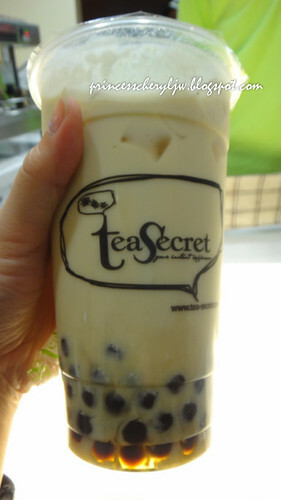 Check out the newly opened Tea Secret – a brand of Bubbly Rich International Sdn Bhd, specialises in preparation and supply of premium quality take-away beverages. 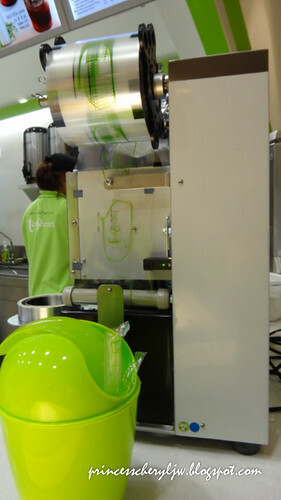 Their stall is located at lower ground of Queensbay Mall. Just walk towards Nippon Yataimura and you will see them. 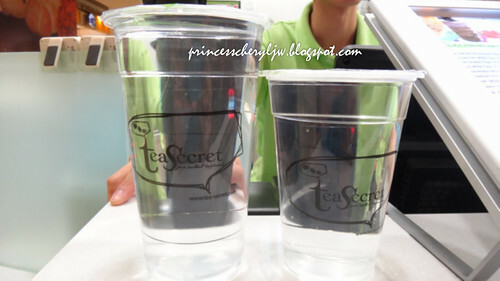 Tea Secret’s premium quality tea has distinctive taste, aroma and flavour. 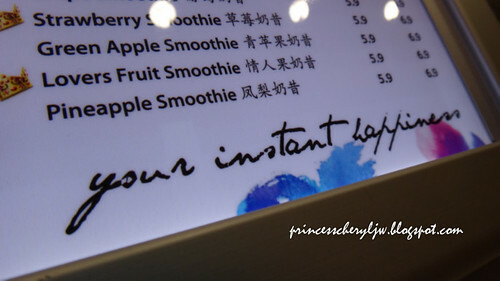 YOUR INSTANT HAPPINESS is their slogan. 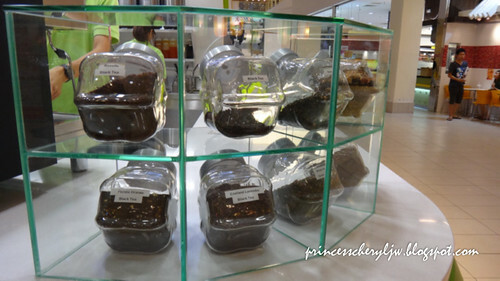 Choices of fresh fruit flavored tea. These tea leaves are for Around The World series. Florida Orange Black Tea, Japan Fuji Apple Black Tea, France Rose Black Tea, Taiwan Roselle Black Tea, England Lavender Black Tea, and Japanese Brown Rice Green Tea. Fancy names and so superb the tea leave fragrances! 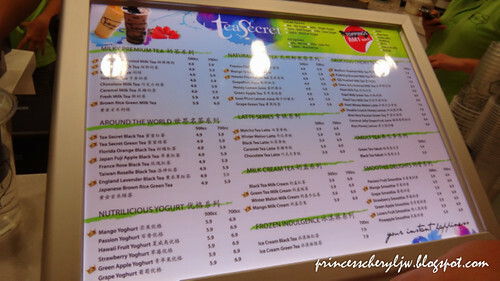 Besides the fruity choices, you can also try the Nutrilicious Yogurt, Latte Series, Milk Cream Tea, Frozen Indulgence and Smoothie Delights too! So much to choose from. But if you're stuck with the choices, refer to that little crown beside the names, those are recommended choices. A wide selection of freshly brews that use teapresso as the base instead of watered down brewed tea. 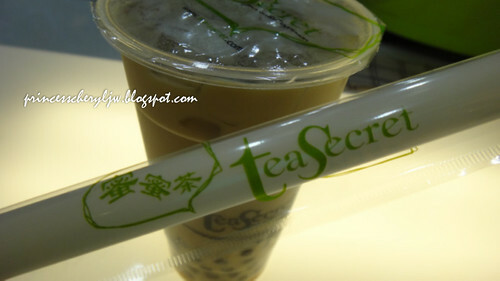 When it comes to trying new tea drinks, I will always go for the most basic one -- milk tea. 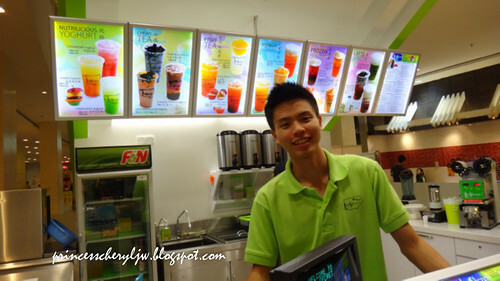 To me, milk tea is still the heart no matter how big the variety of drinks you sell. If the milk tea ain't good, then I will doubt the rest. So... a well-blended cup of Roasted Milk Tea was what I got!